Our Firm | Eichelbaum Wardell Hansen Powell & Mehl, P.C. From our most experienced shareholder to our newest associate, you can have confidence that you are talking to some of the most experienced and well trained lawyers in Texas school law and labor and employment law. Chances are that if you have a problem you need solved you will be able to speak to a lawyer who has successfully litigated that issue. When you need someone who's won before the highest Courts in the United States and Texas you can pick up the phone and talk to that attorney. If you need an expert that has written books on copyright, call us and talk to her. If you have a construction problem that can't seem to get resolved and need to talk to an attorney who has achieved superior results both in and out of litigation, pick up the phone and talk to him. Our commitment is to provide you with the highest level legal advice you can find in the state of Texas. We would love to provide these services to your district or organization. In addition to our quality legal advice, Eichelbaum Wardell provides innovative trainings, materials, client alert updates, and a popular semi-monthly "Board Minutes" publication. You can also read our monthly Preventive Law Corner articles on TexasISD.com. Contact our client relations team for more information on what we can do for you. 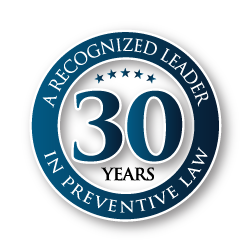 Eichelbaum Wardell has been recognized for high professional legal standards and ethics in the 2013 Bar Register of Preeminent Lawyers Edition of Martindale-Hubbell and has been awarded an AV rating, and has been so recognized since 1998. The A signifies the highest level of legal ability, while the V denotes very high adherence to the professional standards of conduct, ethics, reliability and diligence.